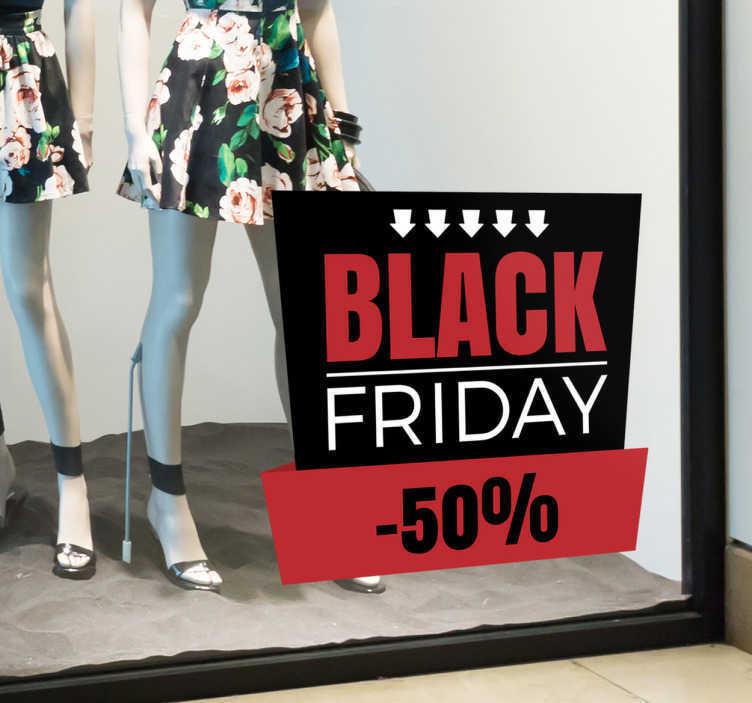 Black and red window sticker or wall sticker for the Black Friday Sales. Add some personalised text to this sales sticker to advertise the sales going on in your shop. Not quite the right design? Email us at info@tenstickers.com with your request and we can create a shop window sticker just for you!